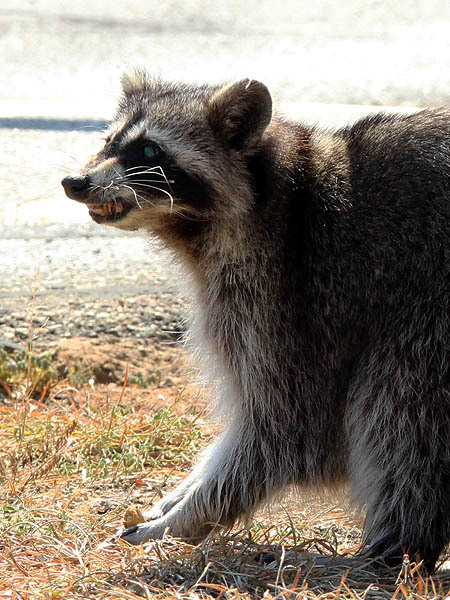 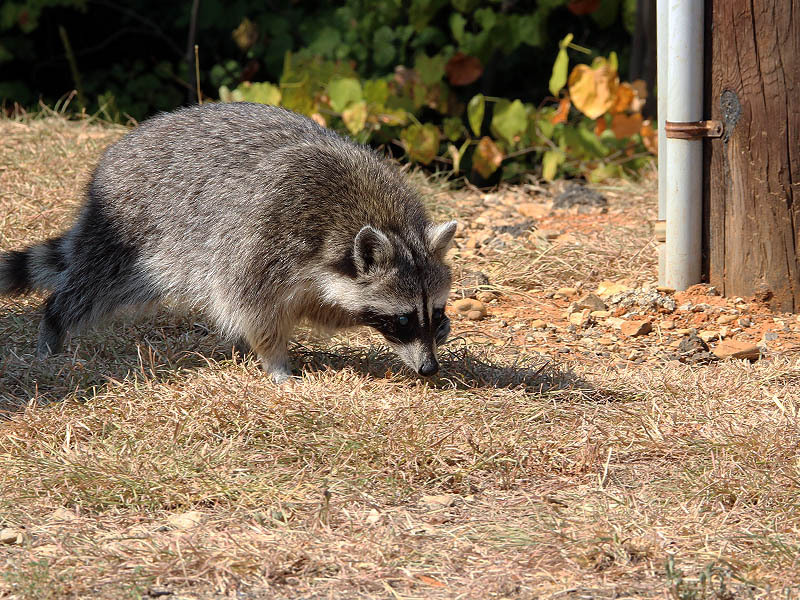 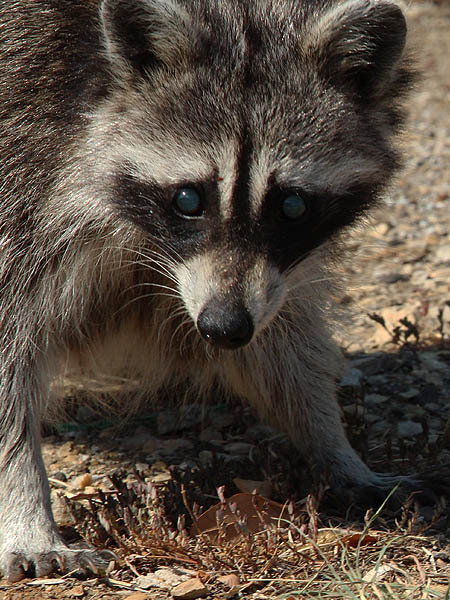 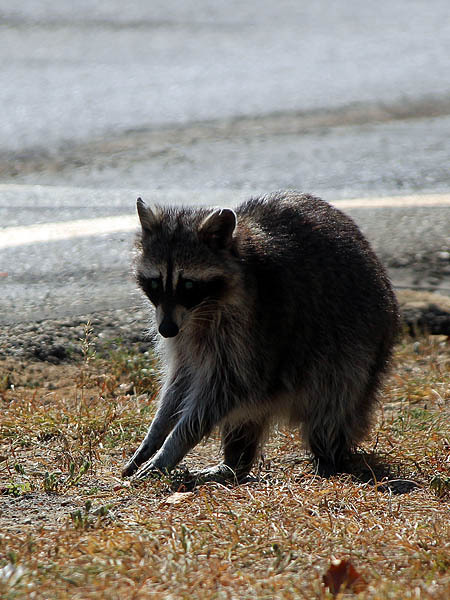 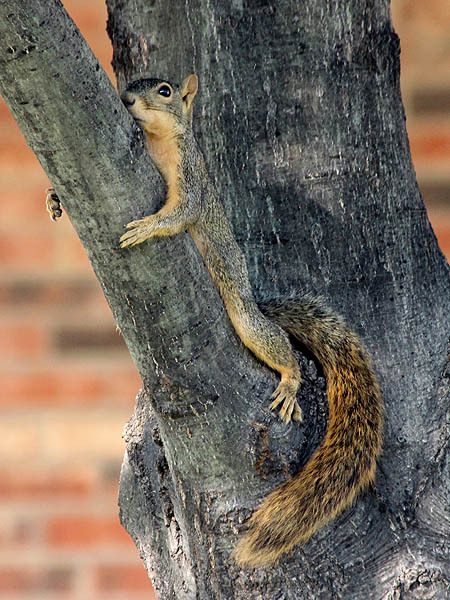 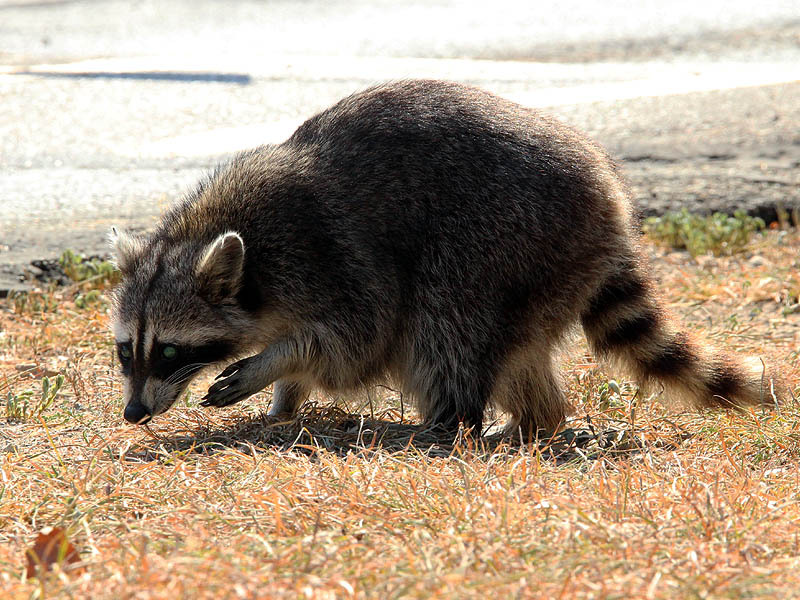 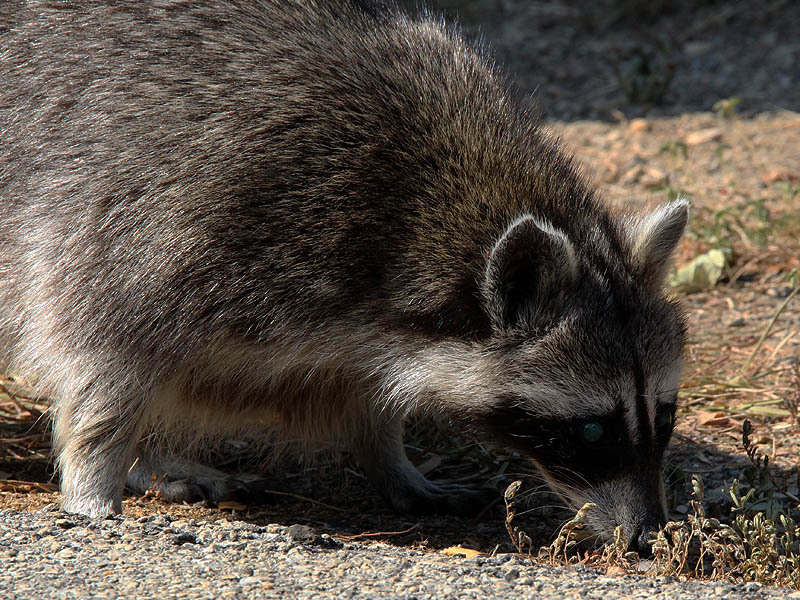 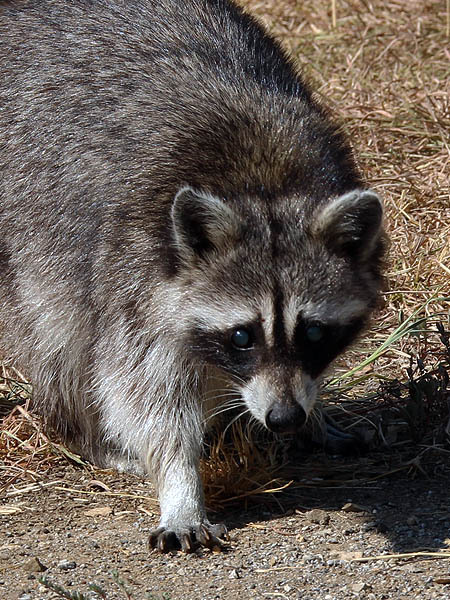 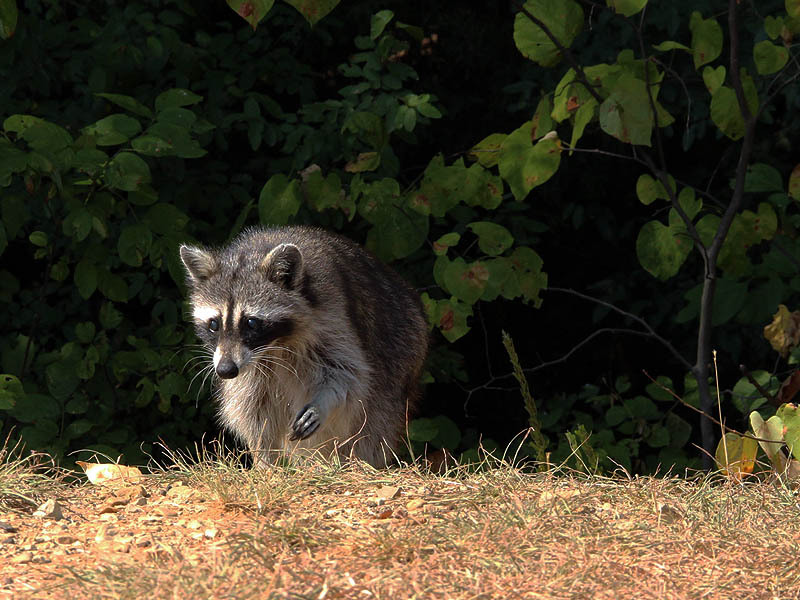 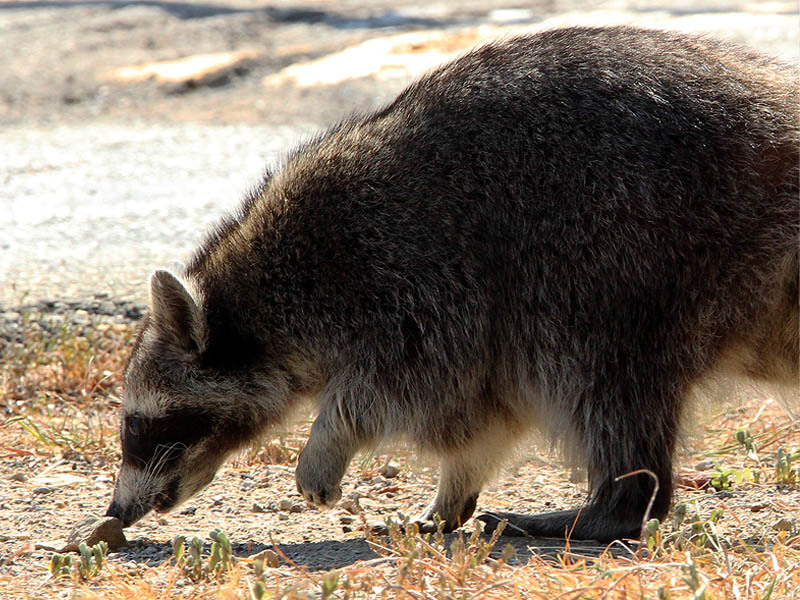 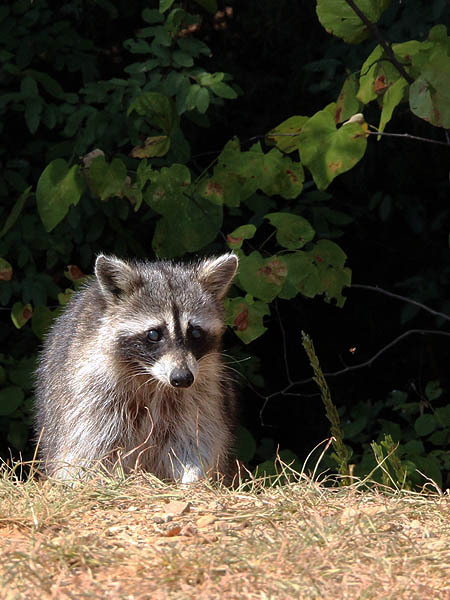 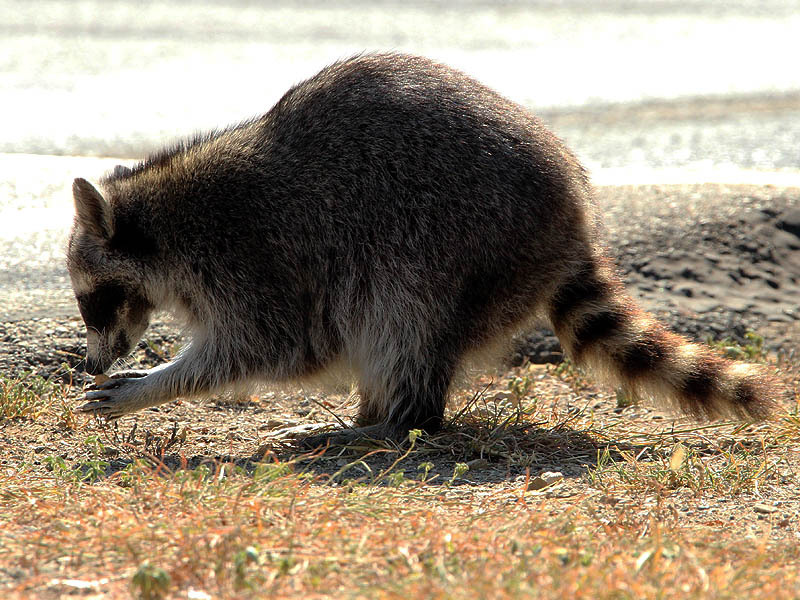 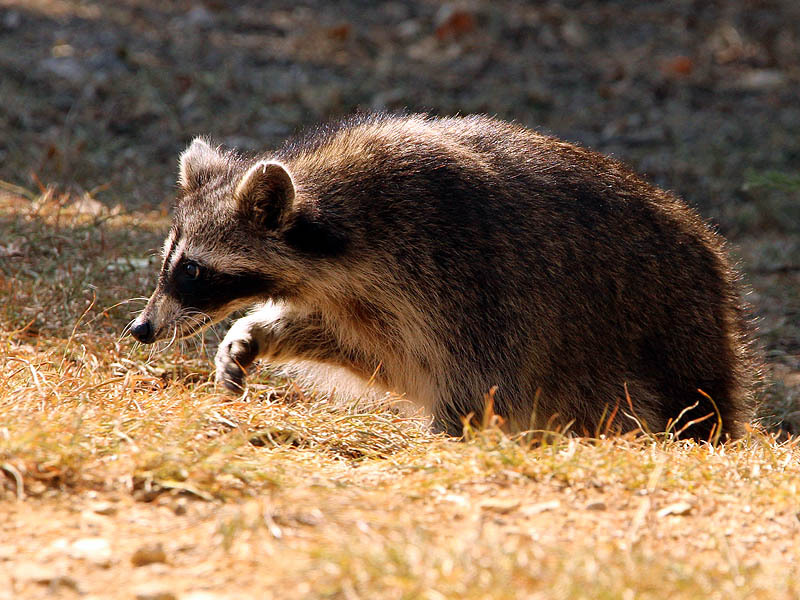 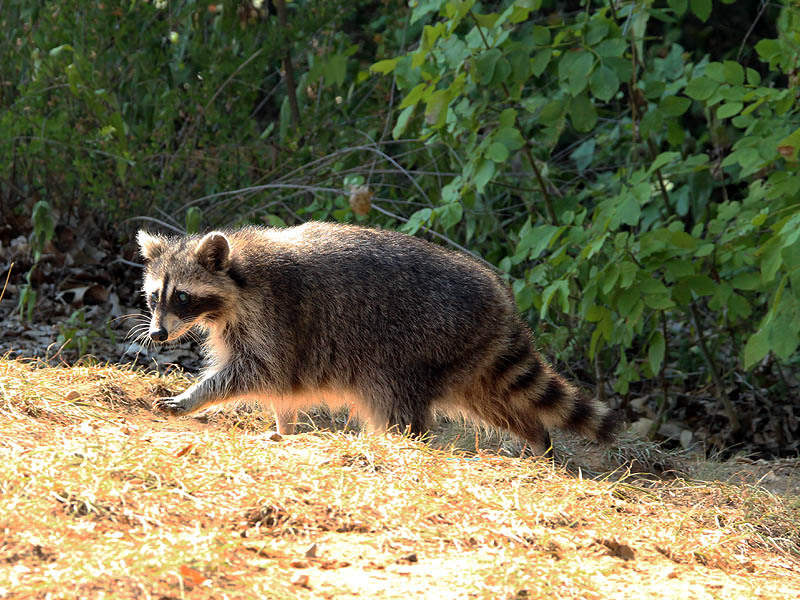 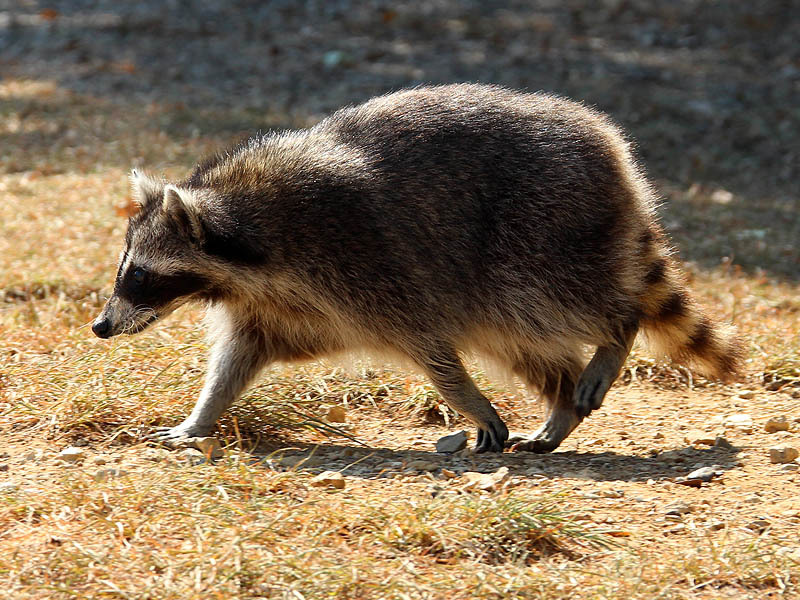 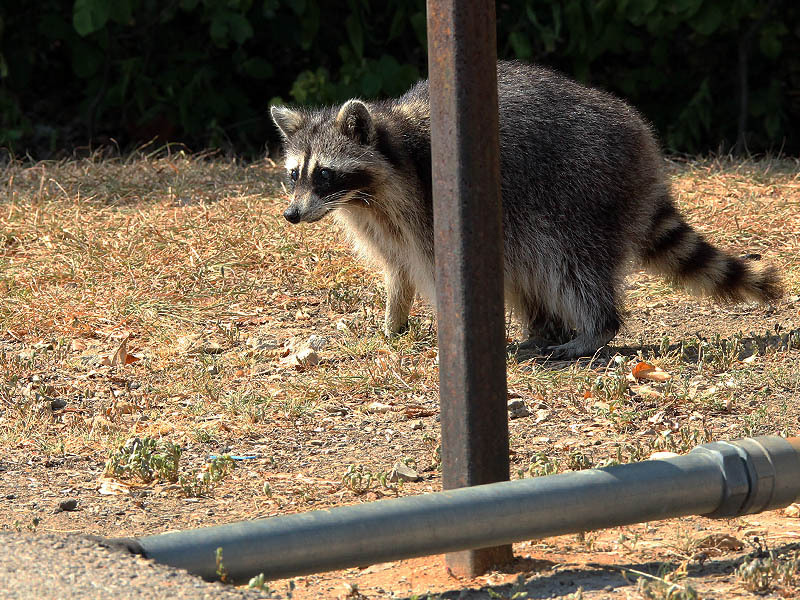 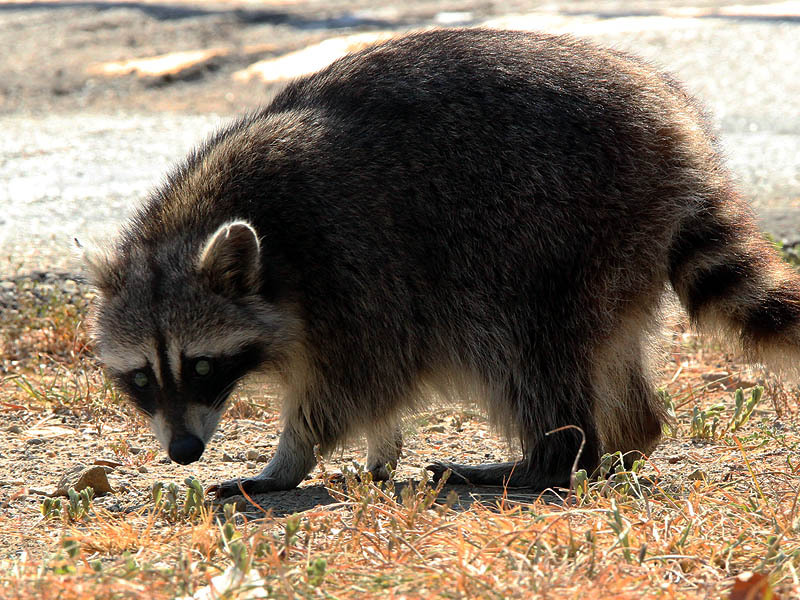 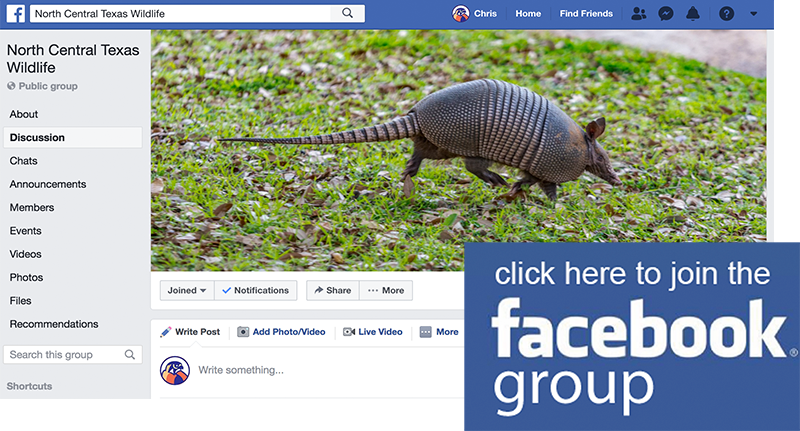 This resourceful Raccoon was photographed at Pilot Knoll Park in Highland Village, Texas. 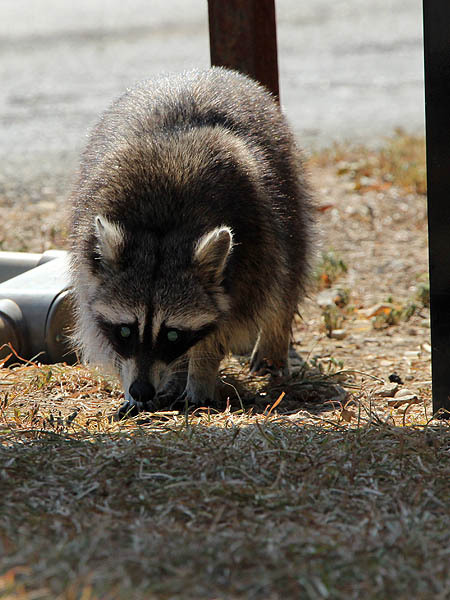 There is a spot in this park where the Raccoons have become accustomed to being fed by park visitors. 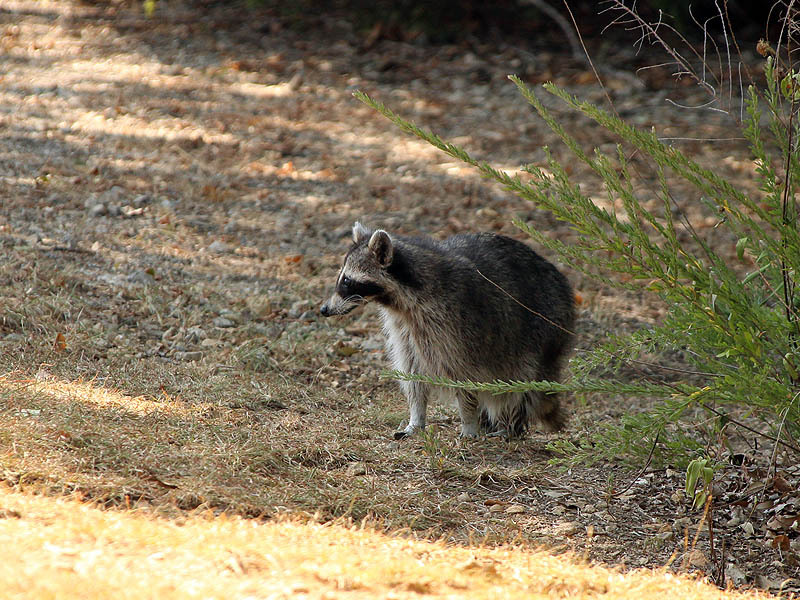 I’ve been told that as many as two dozen Raccoons will congregate there at dusk if they like what is on the menu. 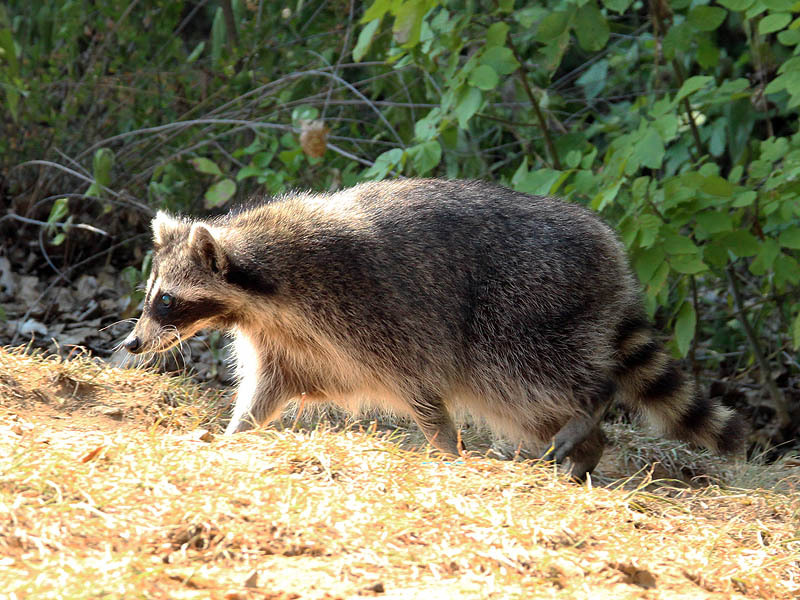 This big, veteran Raccoon is out early—just before noon. 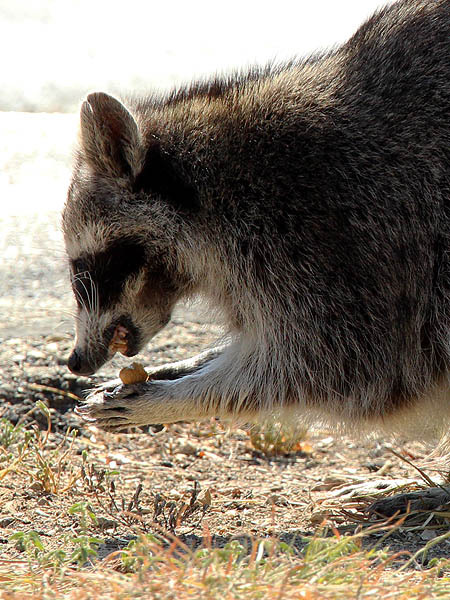 Dog biscuits are the attractant. 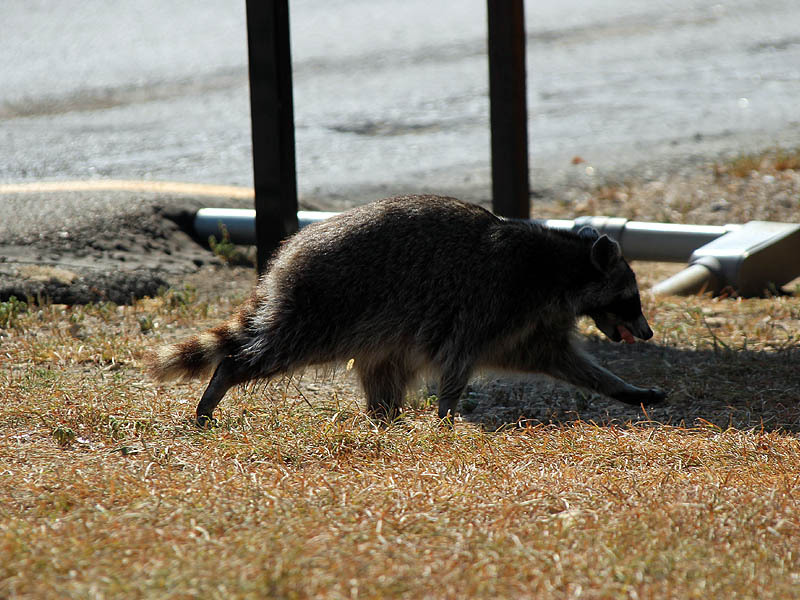 The Raccoon would emerge from the woods and causally stroll over to the roadside. 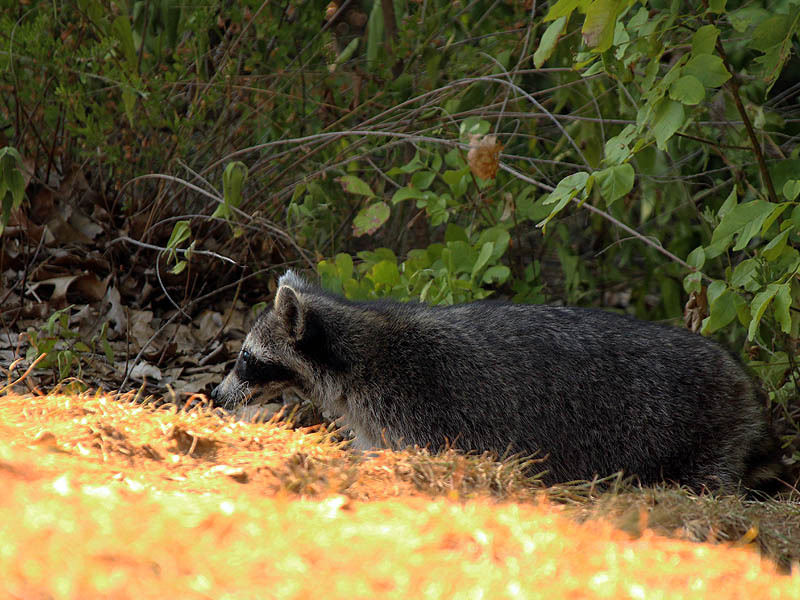 Sometimes he would make himself at home and eat the dog biscuits where he found them. 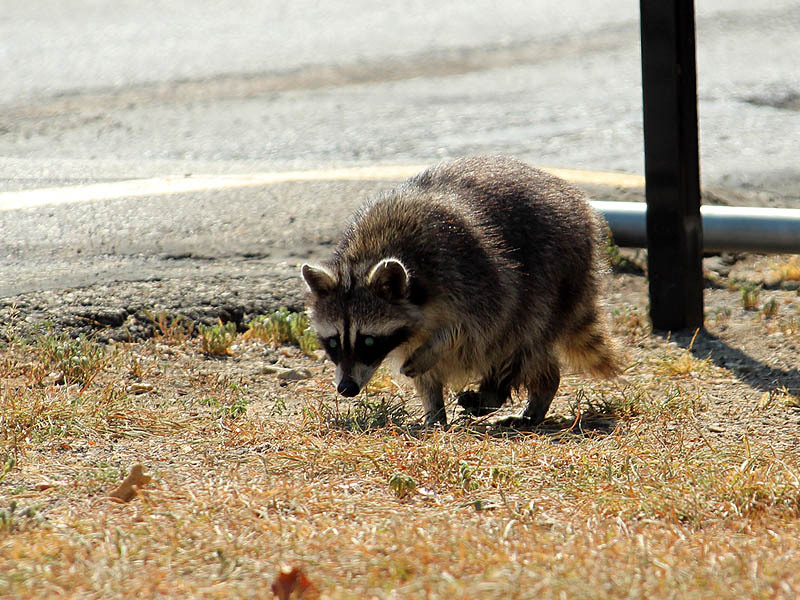 He seemed not to be bothered by passing cars or pedestrians at these times. 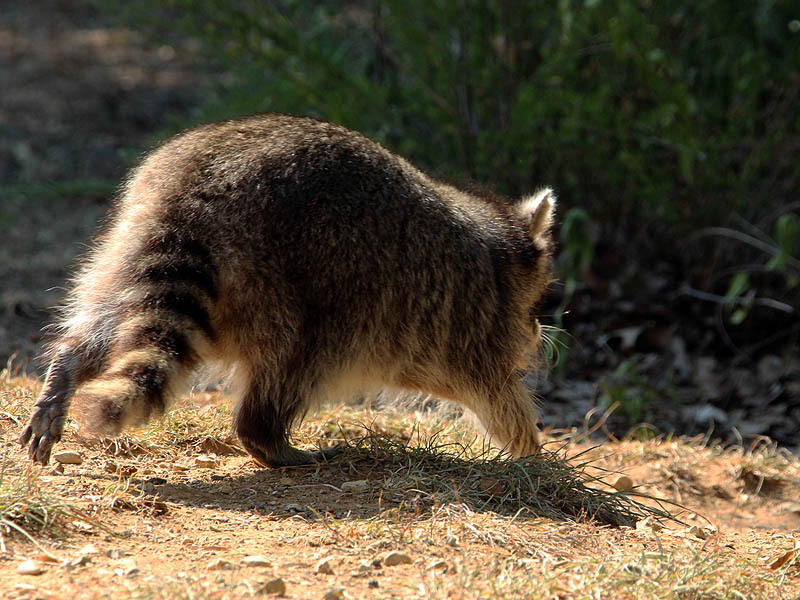 Other times the Raccoon would carry his prize into the woods to dine in privacy. 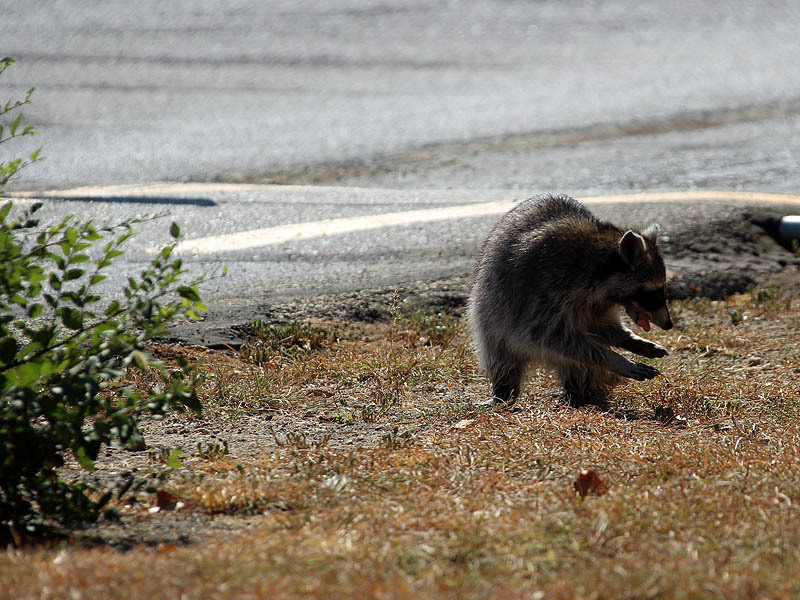 He never stayed gone for long, however. 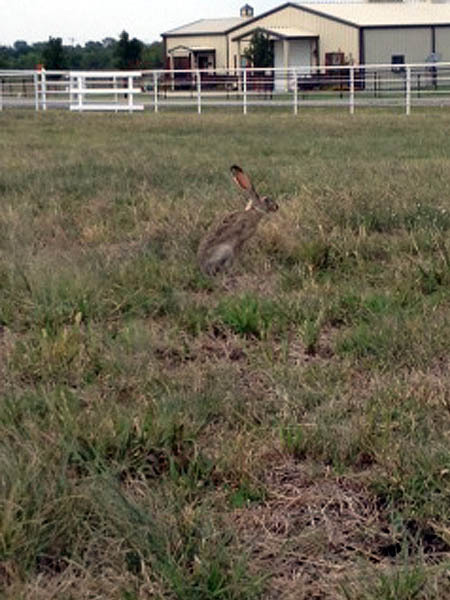 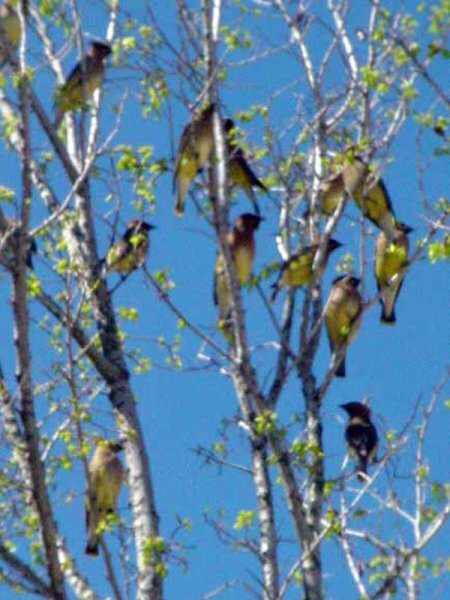 In the brief time I was on site he returned more several times in a row without showing any signs of becoming full.